Created a Strategic Plan for Garland, a first tier Dallas suburb facing demographic shifts, retail vacancy and manufacturing obsolescence. Focus on Business Plan to support Industry Clusters, and Vision Plans transforming vacant sites to Mixed-Use/ Live-Work, and Tax Increment for Science Magnet High School. For GSA's New England Division prepared Scenarios for Revitalization of City Hall Plaza, an under-utilized civic space. Scenarios ranged from alterations of existing GSA buildings to a GSA Joint Venture for new Hi-Rise Office Mixed-Use to re-energize the plaza. 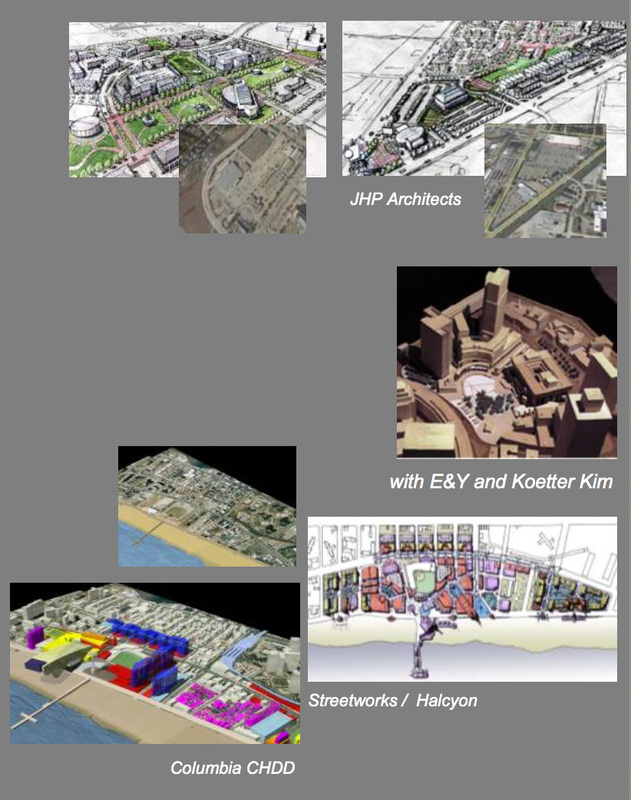 For NYC EDC, Halcyon wrote RFP and selected a Concept Team, to devise Strategies to revive Coney Island as Live / Play environment. Proposed 4500 Residential units, with 250,000sf Community Retail and new concept 500,000 sf Cinema / Retail /Amusements. Prof Buckley with Columbia CHDD Studio explored Extreme Sports Center with Snowboard Pavilion and destination-themed Specialty Retail.